Preparations for the 2015 field season are underway, and once again we are offering 3 competitive internship positions! Click the link at the bottom of the page to download a PDF for more information. 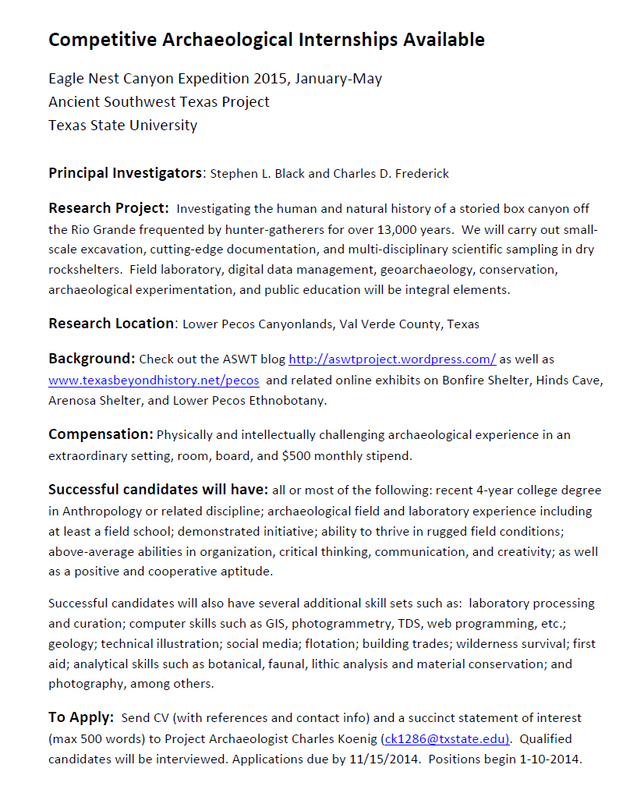 To apply, please send CV (with references and contact) along with a 500 word statement of interest to Charles Koenig (ck1286@txstate.edu) by November 15, 2014. 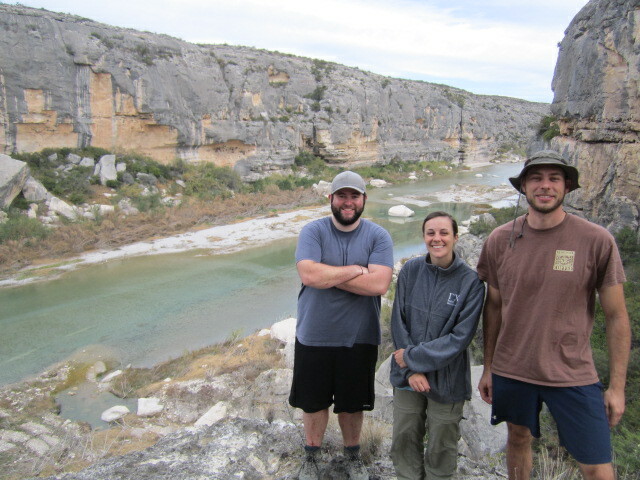 We had three fantastic interns this past spring, and we look forward to another successful field season! (Pictured from left to right) Jacob Sullivan, Brooke Bonorden, and Bryan Heisinger were the ENC interns this past spring. All three of them played integral roles in the success of the 2014 expedition, and we look forward to working with a new group of interns.